Viviana Vethencourt is a Registered Mental Health Counselor Intern (IMH 16206). 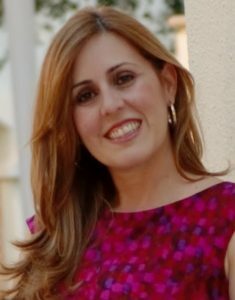 She holds a Bachelor’s Degree in Psychology from Universidad Católica Andrés Bello (Venezuela), and a Master’s Degree in Mental Health Counseling from Nova Southeastern University (USA). Viviana Vethencourt is an active Hispanic community advocate as well as a contributor to many professional publications. Viviana has extensive experience working with adolescents and adults providing individual and group counseling. Her passion is helping individuals, especially women to feel empowered and free to make decisions in their lives, without feeling afraid or guilty, and living a purposeful life. Viviana Specialized in Anxiety Disorders and Depression, helping individuals to overcome difficult situations in life and dealing with uncertainty. Viviana utilizes Solution Focused Therapy and Cognitive Behavioral Therapy approaches, with a Humanistic perspective. She believes each one of us deserves to be the best version of ourselves and live the life we want to live. Viviana is currently accepting new clients offering evening and weekend appointments. You may contact her at viviana@cwcsf.com or at 954-372-7635.